A real three day trail ride staying overnight at two welcoming and unique country hill farms. 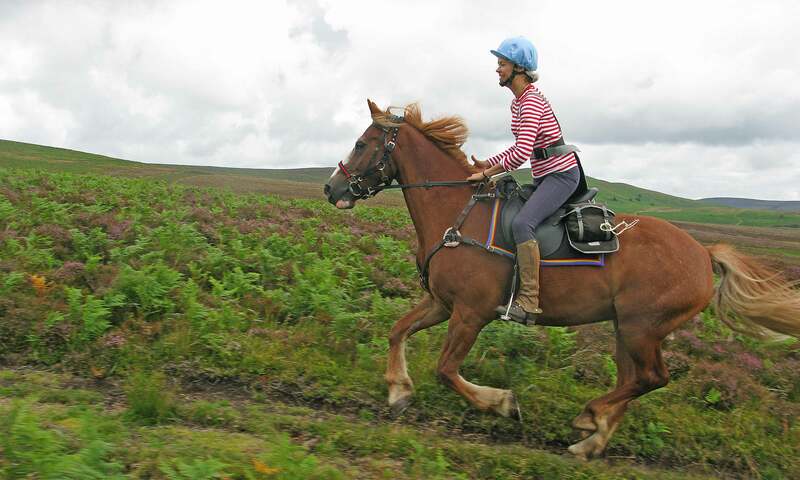 A fine trail ride over varied terrain. We all look forward to welcoming you on The Radnor Farms Trail . . . Explore the Radnor Hills . . .
You’ll have the option to stay at a selection of unique country guest houses during this fine tour of the Radnor Hills. Newhouse, Cwmfillo, Newgate or Goblaen on the first night, before moving on to Bettws Mill B&B, Glanoer or Little Bettws on the second. The outward journey usually goes via Painscastle and over Llanbedr Hill for the first night’s rest at one of the Begwns trail guesthouses. The second day will see you cross the open bracken and heather covered expanses of Little Hill, Glascwm Hill and Gwaunceste Hill. Tether up and with a picnic lunch in your saddlebags take in the views from the hillside. Your route drops down off the open hill along the old green lanes via Franksbride at the ancient four stones to stay the night at either Glanoer or Little Bettws. 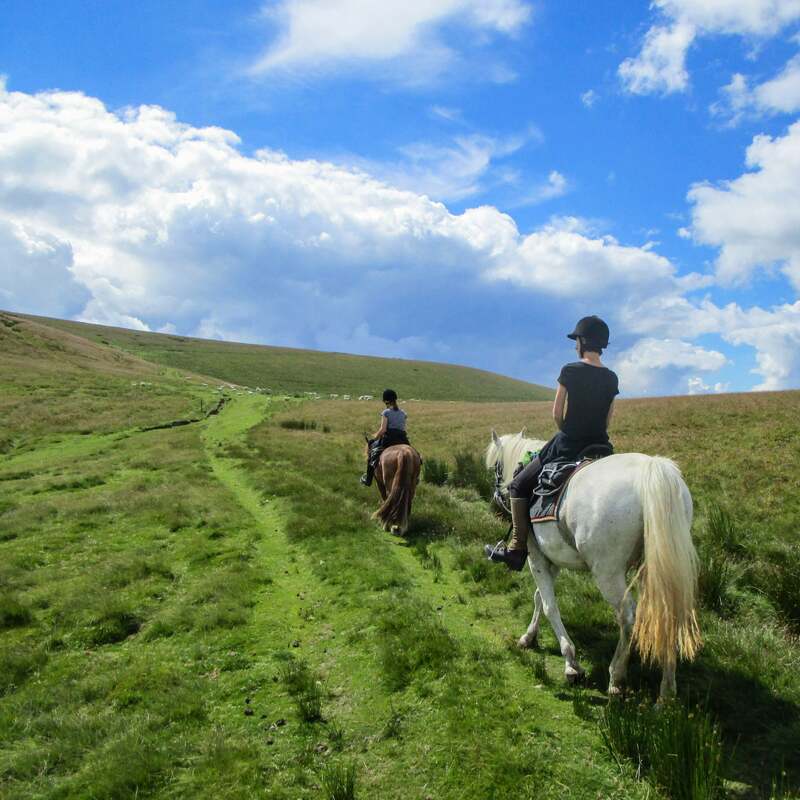 This ride will take you through the heart of Powys, which a scientific study by Manchester and Sheffield Universities proved is the happiest county in the United Kingdom. The researchers concluded “it’s no coincidence that the happiest area in the survey is the least overcrowded”. Stop for a pub lunch . . .
You’ll cross the beautiful Aberedw Hill on your final day before traversing the Edw Valley and heading past the mysterious ‘Ireland’. The early birds will have time to have a relaxed pub lunch and beverages at the Roast Ox Inn. 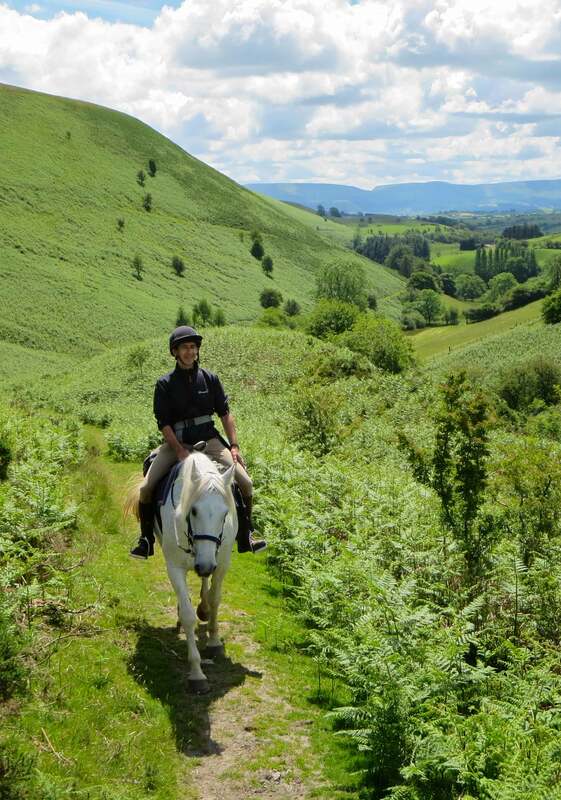 Then head back to Freerein HQ via the Begwns for that last canter of the day. Arrive at Freerein HQ at 9am. Pack saddle bags then prepare your horses. Go through your individual route pack & depart. Out on trail all day. Arrive at your accommodation, untack, feed & turn your horses out in the field. Relax for the evening and enjoy a home cooked meal at your first night's accommodation - Cwmfillo, New House or The Old Rectory. Feed, groom and tack up your horse. Out on trail all day with choice of routes, picnic lunch. Relax at Little Bettws or Glanoer after a satisfying day on trail. Feed, groom and tack up your horse. Out on trail all day with the option of a pub lunch at the Roast Ox. Return to Freerein HQ around 5pm for tea/coffee and homemade cake. We loved how friendly everyone was, the welcome and food at the hill farms was outstanding . . .